Ring News 24Boxing News Breaking Boxing NewsAnthony Joshua Defeats Joseph Parker in Wales; claims he’s would knock Deontay Wilder out! It may not have been the kind of fight we were all wanting or expecting, but Anthony Joshua found a way to defeat Joseph Parker on Saturday, March 31 inside of the Principality Stadium in Cardiff, Wales. Joshua successfully defend his IBF/WBA titles while collecting Parker’s WBO belt. For the first time in his career, Joshua, 28, was forced to go the distance, raising his record to 21-0 with 20 knockouts. Parker, 26, the capable former WBO champion from New Zealand, gave a solid account of himself and sees his record go to 24-1 with 18 knockouts. The bout was aired live on SHOWTIME and other worldwide outlets. Scores read 119-109 and 118-108 twice in Joshua’s favor, as he moves ever forward with his popular career. Following the match, which unfortunately lacked in fireworks and dramatics, people were split on whether or not Joshua going the distance was due to his limited abilities as a fighter or Parker’s under-appreciated skills as a prizefighter. Parker was able to use a jab to offset some of the pressure from Joshua, but ultimately was unable to mount a sustained attack of his own. In the wake of his victory, Joshua felt sublime. Joshua did appear to up the ante a bit down the stretch of the fight, in the closing rounds, and that appeared to seal the fight for him. 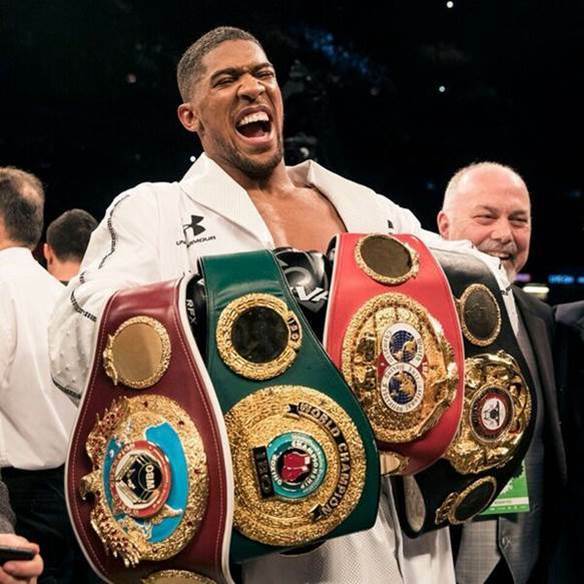 After the fight, Joshua was questioned via Sky Sports’ own Andy Scott on if he’d like to square off with fellow-undefeated WBC Heavyweight World Champion Deontay Wilder for the chance to become undisputed heavyweight champion of the division. “One hundred percent, 100 percent,” Joshua answered. “You’re asking me, do I want to become the undisputed heavyweight champion of the world? The WBA, IBF, WBO, IBO. Twenty one fights, six world championship fights. I am not into the hype. I am about the business. So, let’s talk business. Eddie Hearn can talk with Al Haymon and (Shelly Finkel). Wilder has been very vocal about making the dream fight a reality and Joshua promises a KO if it goes down. “Get him (Wilder) in the ring, and I’ll knock him spark out,” Joshua promised. As for Parker, expect to see him again. He was gracious in defeat and will return.